Aspects of Having a Data Science Education. Data science is no longer limited to a Silicon Valley phenomenon but has emerged as one of the most crucial aspects of business in almost every sector. From retail to banking, companies in every industry are leveraging data to improve customers experience and enhance profits. This has escalated the need for qualified data scientists. When an article in Harvard Business Review called data science as one of the most sought-after jobs of the 21st century, it was more than just intelligent wordplay. A report by Gartner has estimated that big data is expected to generate as much as six million new jobs in the next three years, and this figure is an estimation for the U.S. alone. While mastering all the skills in a data science course is important, the purpose of data science is to leverage big data analytics in solving business problems. It requires coming up with answers to challenges that one would face in the real world. For instance, questions could include: Which business decisions can be improved? How can companies measure their businesses’ improvement? Which decisions will impact future performance? What could be the deployment constraints? 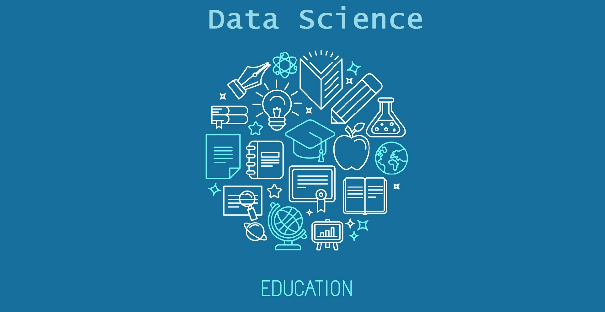 A data science education enables students to answer these questions before moving on to the application of data and statistical techniques. Customer attrition is one example of real-world problem-solving. Every business focuses on retaining its best customers, problem-solving comes in the manner of predicting the events of possible attrition of a segment of customers. Data scientists need to make predictions about attrition risks in such a way that there is ample time for the business to implement effective risk mitigation strategies. While data scientists are trained to be good problem solvers, they are also taught to identify the right challenges that would yield meaningful insights. However, it so happens that the challenges whose solutions would have the most value to an organization might often need a non-mathematical frame of mind. While data scientists are usually abstract thinkers and approach problems with a technical and academic mindset, it is also essential for them to think and conceptualize their solutions in a way that can be effectively communicated to a business audience. a data science education enables back-end data scientists to move beyond basic R&D and think from a client’s perspective as well. Developing an understanding of the statistical know-how lies at the forefront of the data science toolkit. It also involves developing an intensive knowledge of algorithms and their applications and is one of the core responsibilities of a data scientist. However, deploying a statistical mindset is as much an art as it is science. Data science courses enable data scientists to model any data by implementing algorithms to come up with statistically-informed recommendations and predictions. They not only detect discrepancies in the data but also derive game-changing insights from industry reports. Statistical flexibility is as important as technical acumen, as this is the field in which results and forecasts change at an alarming rate. A team of data scientists works together, shares experience and knowledge to make sure that the analytical insights align with the market demands. Thus, as a data scientist, it is important to know how to proceed towards a solution even with limited resources at disposal. Data science enables students to manipulate data and apply it to an algorithm that best solves the challenge at hand. While a career in data science demands a decent foundation of technical skills, it also requires a deeper understanding of the various scenarios in which these technical skills can be applied. Data science it one of those new and upcoming fields that everyone is talking about, and the career opportunities are endless. In a recent study, IBM announced that the annual demand for the roles of data scientists, data engineers, and data developers would reach 7,00,00 by 2020. When SAS surveyed data scientists to recognize which traits made an excellent data scientists, strong logic, and analytical skills topped the list. It is also interesting to note that only 41 percent of those surveyed has these skills. While each company has its own recruiting parameters when it comes to data scientists, the aspects mentioned above are the common prerequisites of any data science role.